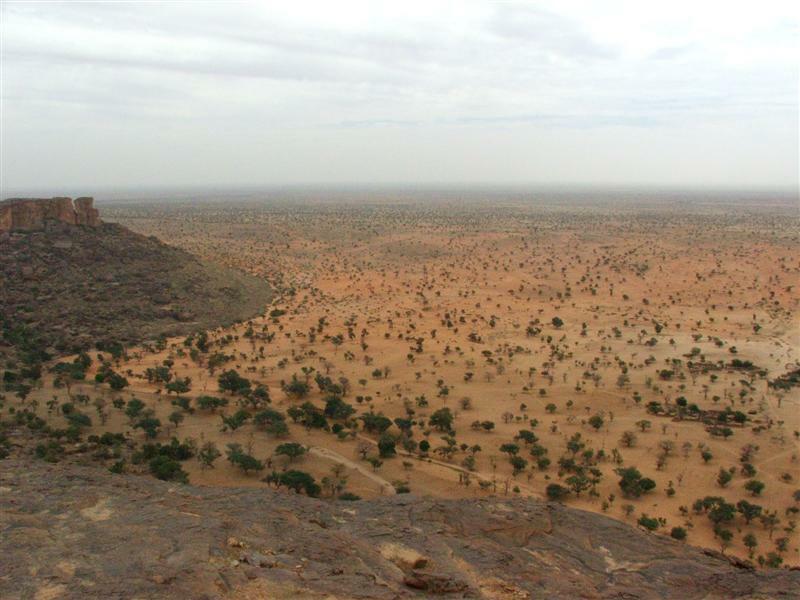 Standing on the edge of a sheer drop over 100m we surveyed the Dogon plain until the horizon became indistingt. Not knowing that on our arrival that we were on the plateau. It was a shocking and surprising sight. And, for me, to be somewhere I only knew through David Attenbourough dvd’s was just incredible. There we were in our own dvd! 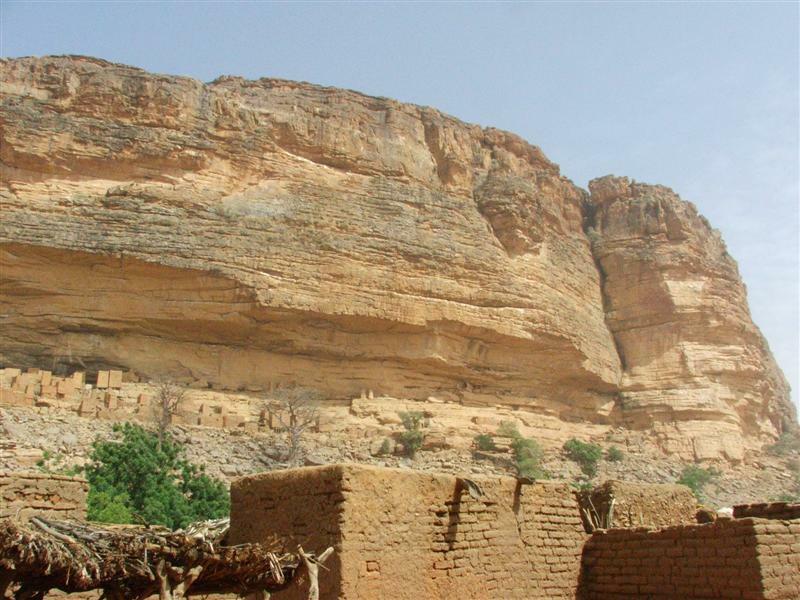 Dogon is set out into three different but distingt areas. Plateau, cliff and plain. With people living on all three. Our three day hike would reveal the southern areas to us, with our guide, Gabrielle. 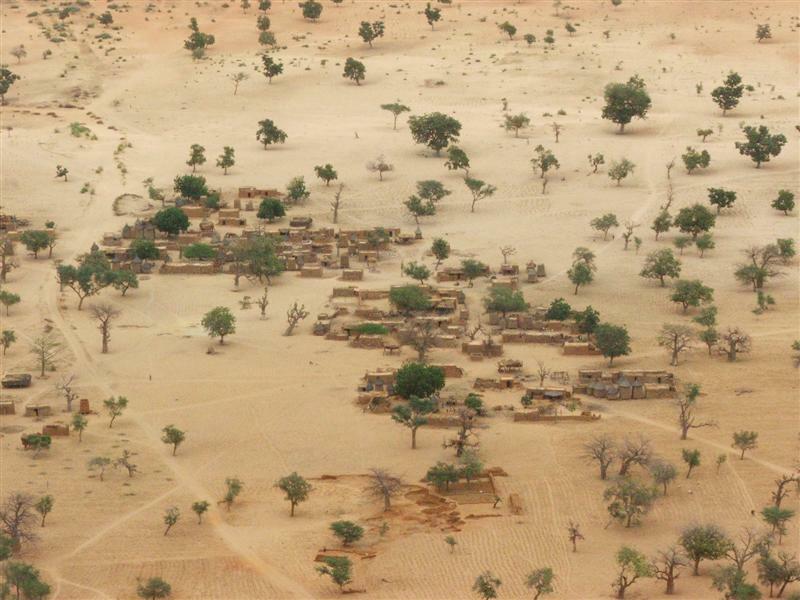 The villages we visited in “Pays Dogon” were all very alike and subtley different. We hiked down the cliff on the first day and camped out under the stars (snug as a bug under 5 rugs) and listened to the strange sounds of the night echoing down the escarpment. 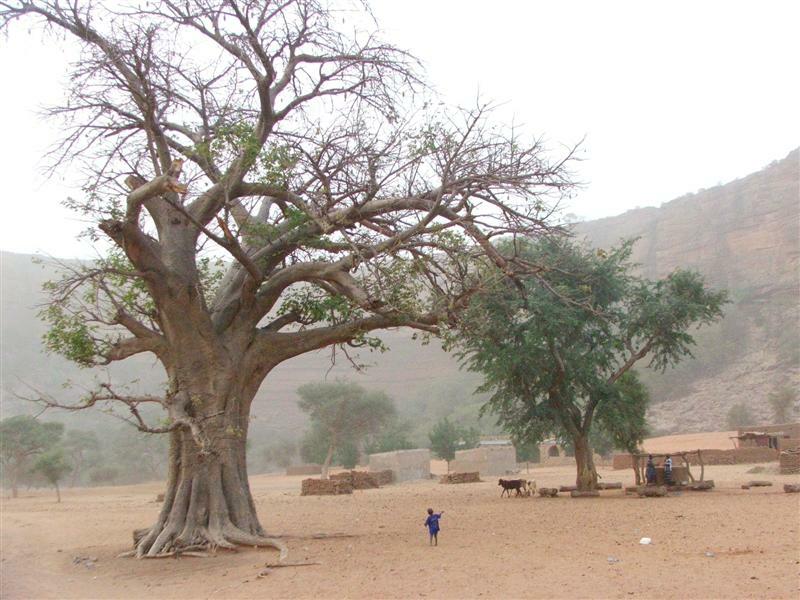 The second day was spend ambling along plain beside the cliffs handing out kola nut to the elderly in exchange for a photo or just a general waffle about harvesting the Baobabs or herding their goats. The third day was to finish our trip and back up through Dgijuibombo. 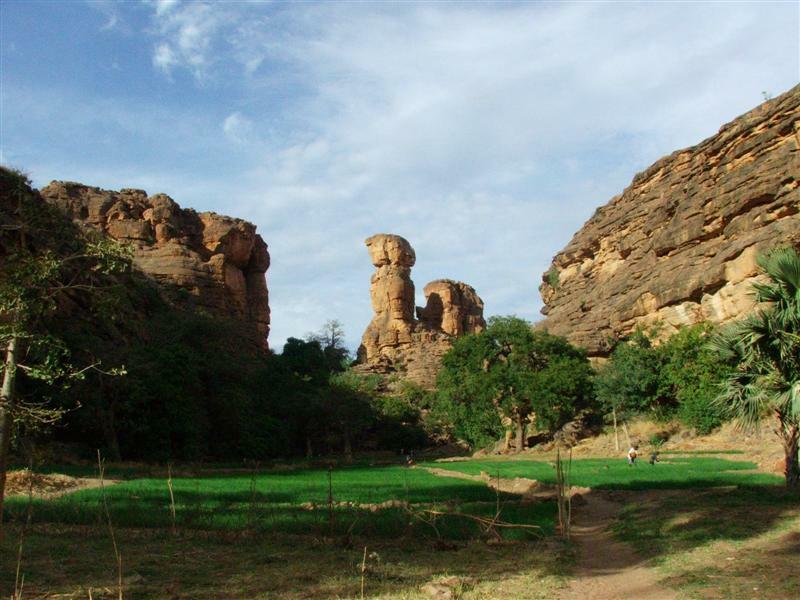 This place, Pays Dogon, has been the pinnacle of the trip in Mali and definitely in the top three of best places yet. The fact that we took time to explore on foot made it extra special. The people, buildings, culture, artwork, metalwork, textiles, weaving and huge understanding of nature, has made an indelible mark on us both never to be forgotten. 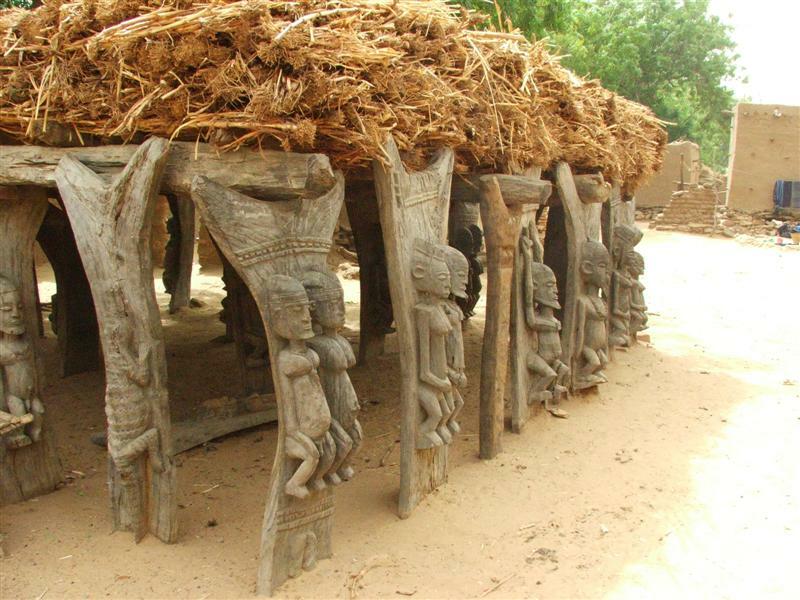 Djenne – a horse of a slightly different sort! After some hopping around both with my gammy foot and on busses we made it to this “quaint” little town. Home to the biggest mud structure in the world and….that’s about it really. It has a big mud mosque. There ye are ted, a mud house. A really big mud house Ted! 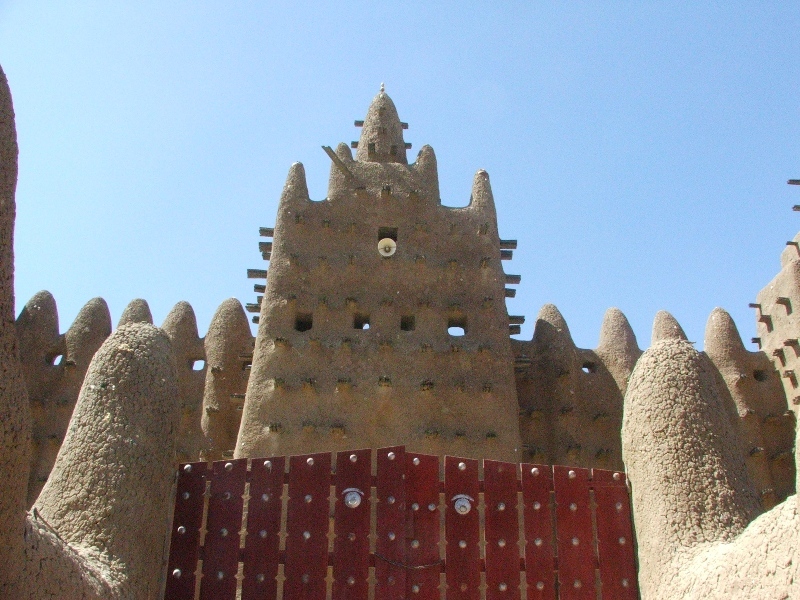 Yes its impressive, made of mud and repaired by over 4000 volunteers after each rainy season. But it’s still just a mud gaff, a very nice mud gaff. There is a Monday market, which is right infront of the mosque. We were there for it and is quite colourful. 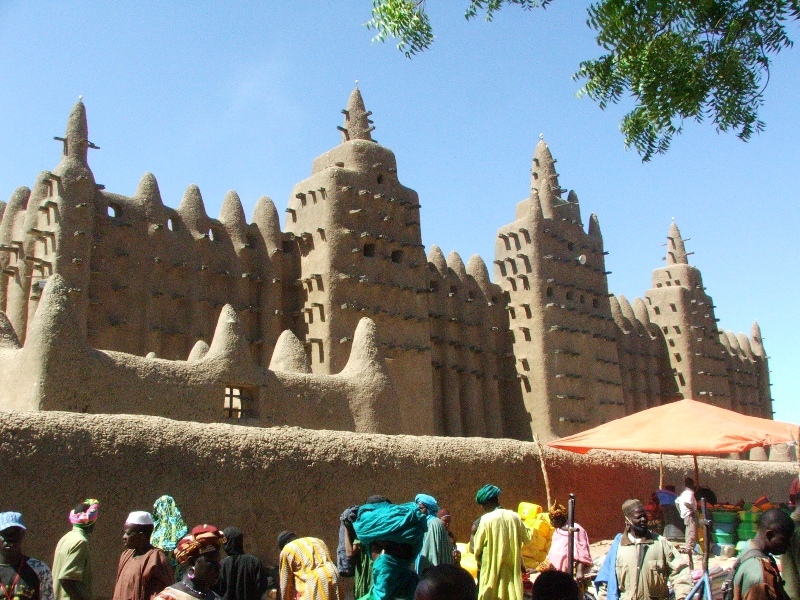 Dont get me wrong, it was nice to be there in Djenne but for two days…. I dunno.